Abstract: This fascinating seminar was very well attended and covered both far–reaching and controversial matters of interest to all. Over 150 delegates assembled to listen to short introductory presentations and also to discuss their particular view points. − To what extent does the overall offshore industry (not simply confined to oil and gas) need to replace divers? − What alternatives are there available at this time? − What is the industry doing about these two questions? This was immediately followed by an overlay of comments given by the present Chairman of SUT Council, David Thornton, also from BP, who put emphasis in particular on the urgent need for more research, which in turn of course will lead to even higher equipment hire and capital costs than does exist now. He drew the attention of those assembled to the increasing number of underwater vehicles of various types now available, and to the necessity of those involved with offshore structure projects to pay more attention at the early design stage to survey, maintenance and repair methods likely to be required later in order to reduce possible downtime costs to minimum when the particular structure is in operational use. Abstract: For many offshore operations, enhanced recovery projects are faced with huge capital investment requirements. Prior to commitment of these huge sums of money, a producing organisation must be sure that a reasonable chance of success exists for any enhanced recovery project. In small offshore development projects it is sometimes possible to provide for enhanced recovery during initial construction at minimal variable cost. In other projects the high cost required to install the facilities initially without first determining that enhanced recovery will be successful or actually required is so great as to be economically prohibitive. Abstract: Mr F Bartle (British Gas) presented a ‘cautionary tale’, outlining the difficulties encountered during exploration drilling in English Channel Block 98/22, difficulties which might have been avoided had he sought fuller information on current speeds and profiles prior to commencing drilling. Due to the strong currents, unacceptably high oscillations in the conductor pipe forced abandonment of the well. A data search was commissioned and the resulting report, had it been available, would have resulted in the saving of a considerable sum of money. With the results of this survey, and with the introduction of spiral winding round the conductor to aid in spoiling the current flow, drilling was restarted in October 1979. Abstract: As a logical consequence of the wide–spread use of radio location systems for navigation, the more accurate position fixing aids based on microwaves found their natural way as position reference system for the dynamic positioning of vessels, where accurate and stable position data are a first order requirement. Abstract: As a result of initial operations in the North Sea using procedures and craft particular to the Gulf Areas a sturdier design of support vessel of increased capacity evolved along with new techniques and skills. Vessels increased in size, capacity and horsepower. Duties extended to incorporate towing and anchor handling. New types were evolved such as the pipe carrier and the saturation dive support vessel. Freeboard increased dramatically with the introduction of open–shelter deck ships by the Norwegians. As the search moved into the northern North Sea, into deeper waters and rougher weather, vessels were scaled up, and to meet the demands of high latitudes new vessels were built with ice class notations. Already from 1965 in the southern North Sea we have seen increases in scale of three and four fold. North Sea vessels of one type or other have seen service in most parts of the world. The Strategy for Offshore Research − is it matching the Needs of Industry and Government ? Contains a brief report on Papers presented at the Conference: Department of Energy’s Offshore Engineering Research, BP Marine Technology Panel, SRC Marine Technology Programme, UEG and Offshore Research, The Norwegian Research Plan for Continental Shelf Activities, EEC Offshore Strategy. Abstract: In April 1979 a second Symposium entitled POLDIVE ‘ 79 was held successfully at Teesside Polytechnic in conjunction with the Cleveland Constabulary. This was the successor to POLDIVE ‘ 78 and was designed to present the progress made on the training, operations and equipment of Policy Underwater Search Units, (PUSU). Abstract: The title suggested for this paper by the organisers of the Conference was “Technology’s Key Role in the World of Fisheries Development”. Certainly, the increase in the total world catch of fish from an estimated 2 million tons a year in the mid–nineteenth century to the present 75 million tons a year, or thereabouts, was made possible by the application of mechanical power and electronic aids to the harvesting, handling, processing, preservation and distribution of fish and fish products. In the opening paper to the conference, the Assistant Director General in charge of the Department of Fisheries of FAO has indicated the kinds of problems that have to be over–coming if we are to achieve the further increases in production that are required to meet the expected demand by the end of the century: over 100 million tons of more or less familiar species, with the possibility of twice or three times that amount if we decide that it is necessary and desirable to supplement our supplies of animal protein foodstuffs by exploiting some of the very big but less conventional marine resources such as Antarctic krill. He has also reminded us that to maintain present levels of supply at more economic cost and to achieve increases as and when we wish to do so, we would do well to adopt systems of production and methods of fisheries management that perform better than those of the recent past, whether judged by the criteria regarded as important by the biologist, the sociologist, the economist, the investor, the fisherman, the processor, the merchant or the consumer. Abstract: Rear Admiral D.W. Haslam, Hydrographer of the Navy, chaired a joint one–day seminar of the Hydrographic Society and SUT on 24 January 1980 to present and discuss advances in hydrographic surveying. Recent years have witnessed a number of important changes in hydrographic surveying practice, especially as surveys are now required for a much wider range of purposes than the traditional one of safe navigation. Abstract: The conference was arranged to disseminate information and experience of a range of subsea exploitation techniques. Papers were given by both suppliers and operators, providing a picture of not only what development has been made, but also users’ experience of their applications. 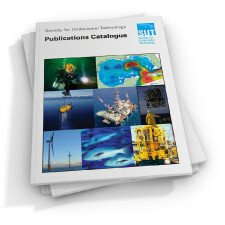 Titles at the Conferences were as follows: Development of wet Xmas trees; Encapsulated Wellheads; Subsea Control Systems and Feedback; Tie–back of subsea wells to fixed platforms; The managing contractor’s approach; Trends in subsea intervention; TFL developments update; Production risers and manifolds for floating production platforms; Design and installation of Murchison subsea wells; The future role of subsea technology. Abstract: Subsea production systems consist essentially of wells, flow control valves, pipelines, manifolds, and riser systems to deliver the produced fluids to the surface for separation or tanker loading. Tables 1–6 (1 = Drilling; 2 = Well completion; 3 = Pipelines, flowlines and control cable; 4 = Production riser and manifold; 5 = Tanker loading facility; 6 = Multi–well manifold centres) identify activities which require an underwater intervention that cannot be made using drill pipe, drilling riser, completion/workover riser or through line tools. The activities listed generally require good visual capability and often need dextrous manipulation. It is worth noting that ‘low–light’ TV cameras have better general visual capability than divers. Divers have about 80% of their onshore manipulative ability and stereo–scopic vision. Some divers claim the ability to work by sense of touch alone. Activities requiring a high degree of manipulation require intensive manned intervention at present. Abstract: One of the marks of a successful saturation pressurisation is that, apart from the work achieved in the water, the divers arrive back on the surface in good health and free from infection. the maintenance of a chamber complex free from potentially explosive oily deposits and general dirt has been, and always should be, one of the main safety aims of divers. During comparatively short bounce–diving operations, cleanliness, apart from its safety aspects, reflects professional pride rather than the risk of contracting an infection, although that risk is still present. However, with saturation pressurisation, the cleanliness of the chamber complex is of paramount importance to the health and safety of the divers that enter it. 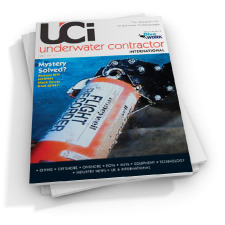 Divers are usually not fully aware of the potential hazards to their health that simply entering the chamber can present, and they tend to consider the risks of their work only in terms of actual water time. The responsibility for chamber cleanliness and hygiene ultimately rests with the divers themselves, but I have, on many occasions as a Supervisor, had to stand over personnel to ensure hat appropriate procedures are carried out correctly. Therefore an explanation of the factors which can cause infections and what they can lead to may help those involved to view saturation hygiene on a more personal level, because no one is exempt from risk. Abstract: Most of the material of this article is taken from two reports commissioned from the National Maritime Institute (NMI) by the Department of Energy in 1976 and 1978. These gave approximate estimates of the collision risk for offshore installations in the three main North Sea sedimentary basins based on available data, and more detailed estimates for the Forties production platforms based on a special survey of passing traffic. It is concluded that the risk of a collision with a passing ship is quite low, about one per year for the UK sector of the North Sea. Collisions involving service craft are relatively frequent (about ten per year overall) although the number is declining for reasons that are explained. Extracts from a paper on “safety in Offshore Hydrocarbon Exploration and Exploitation” presented at the Petromar 80 Conference held in Monaco, 27–30 May 1980. Abstract: When development of the North Sea began, the risks of working in such a hostile environment were unknown as were the areas of particularly high risk. During the early years of North Sea operations, all accidents and incidents were investigated and analyzed (and, of course, the process continues); the most extreme example of the risk was shown by the collapse of the “Sea Gen” rig in 1965 when 13 lives were lost. Following this disaster, it was decided to issue safety regulations under the provisions of an Act specifically designed to cater for offshore safety matters. Accordingly, such an Act was drafted and came into force as the Mineral Workings (Offshore Installations) Act 1971. It is an enabling Act. Apart from enabling the Secretary of State to make regulations for all aspects of safety on or near offshore installations, this Act also required managers to be appointed who shall have overall responsibility for all matters affecting the safety, health and welfare of all people employed on the installations and, where necessary from a safety aspect, for the maintenance of order and discipline. The Act, and regulations made under it apply to installations concerned with the offshore exploitation of and exploration for mineral resources in and surrounding the UK; an installation includes both mobile and fixed types and so drill–ships, jack–ups and semi–submersibles are covered in addition to steel and concrete fixed platforms. In 1977 the Health and Safety at Work etc. Act, 1974, was applied by Order in Council to the UK Continental Shelf. This transferred the responsibility for the occupational safety and health of workers offshore to the Health and Safety Executive and future regulations on such matters will be made under the 1974 Act. The Department of Energy has been appointed as agents of the Health and Safety Executive to enforce such regulations as well as existing legislation. Abstract: “What is an underwater tool?” The Ciria Underwater Engineering Group are in the course of preparing, under guidance of our commercial Steering Group, a comprehensive handbook on underwater tools. The first phase of this handbook is now well underway and it is anticipated that within the next few months the handbook will become available to all interested parties. As a member of the Steering Committee, it has become increasingly clear to me that it is extremely difficult to define what is and what is not an underwater tool. 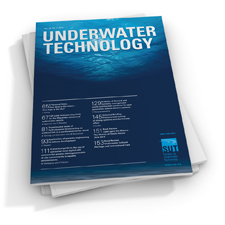 This paper therefore will be restricted to diver–operated hand–held tools and will exclude submersibles, welding habitats, pipe–manoeuvring H–frames, and one–atmosphere observation bells/subs with manipulator arms which can ‘fly’ around the structure. Abstract: In 1973, the dynamically–positioned ship Pelican drilled its first well on the Labrador shelf for Total–Eastcan Exploration acting as operator for the Labrador group. (presently, the Labrador group is composed of AGIP Canada Ltd, Amerada Minerals Corporation of Canada Ltd, Aquitaine Company of Canada Ltd, Gulf Canada Resources Inc, Petro–Canada Exploration Inc, Suncor Inc, Total Petroleum (NA) Ltd, and Total Eastcan Exploration Ltd). This was following a first unsuccessful attempt using an anchored vessel; indeed the environmental conditions found on this huge arctic acreage (see Fig 1) were, at the time, totally unknown to the oil industry. Prominent features are sea ice six months a year, icebergs year round, and rough seas from late summer until freeze–up. Abstract: The third symposium, POLDIVE 80, in the successful series on the training, operations and equipment of Police Underwater Search Units was held at Teesside Polytechnic in conjunction with Cleveland Constabulary. It was intended to deal with selection and medical standards, training, equipment, operations and legal aspects; thus continuing the impetus towards standardisation and harmonisation of practice and procedure in the service started in the previous symposia. Abstract: The requirements for underwater inspection are in SI 289 the Offshore Installations (Construction and Survey) Regulations 1974 which were made under the 1971 Mineral Workings (Offshore Installations) Act. The Regulations require that every offshore installation in UK designated waters, broadly speaking the UK Continental Shelf, is required to have a current Certificate of Fitness which certifies that the installation concerned is fit to be established or stationed and maintained in these waters. To obtain a Certificate of Fitness it is required that a survey, called a major survey, is carried out. This survey includes a thorough examination of the installation and equipment in order to ascertain that the installation conforms to the original design and construction and that it is fit for its intended purpose. In the case of a new installation the vast majority of this work can be done on dry land; however, for the renewal of the Certificate of Fitness where the installation is on location in the sea, then this entails a large degree of underwater inspection. A requirement to carry out this major survey with the last year of an existing Certificate of Fitness could apply an undue burden on the owner, therefore the Regulations allow that a series of continuous surveys conducted in rotation in conjunction with annual surveys may be accepted as an alternative, provided that the end results are equivalent to those which would have been obtained in the course of a single major survey. This, of course, means that among other things NDT of the underwater part of an installation will be required on an annual basis. 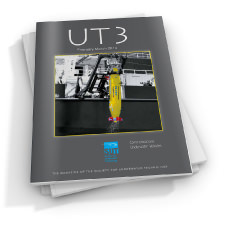 Abstract: In outlining the development of our Submersible Divers Heating Unit (SDHU) we have taken into account some of the problems associated with the design and development of a total engineering solution to an underwater application. Basically the SDHU supplies hot water to the diver. The hot water solution for heating is an alternative to the electrically–heated suit, and when introduced in the early 1970s it was seen as a way of overcoming the electrical shocks being suffered by divers through inadequate protection. Initially the hot water system worked on an open cycle principle; the location of the heat source on the surface meant that hot water could only be pumped downwards to the inner and outer suits of the diver and then expelled into the sea. The diver works in a “bubble” of hot water. The attendant heat losses along the length of the surface umbilical are so great that to attain the necessary diver heat requirements of approximately 1kW, a volume of 2 gallons of water per diver per minute is required, plus a heat loss of 5°C per 100 ft depth. The control of the hot water temperature at the diver is extremely difficult since the permissible temperature variation without affecting comfort and discomfort can be experienced in a hot bath, using a thermometer to read temperature variations that the body can withstanding comfortably. Abstract: This paper is based on a talk given to the International Conference on Meteorology and Oceanography Applied to the Engineering, Installation and Operation of Offshore Structures which was held in The Hague, Netherlands, in November 1978. Discussions with engineers at that time and since have indicated that there would be more general interest in a review of the main principles and techniques used in the measurement of waves and currents. Wave action is by far the most important environmental factor which has to be taken into account in the design of offshore structures and in their subsequent operation. However, currents are of considerable importance too and as oil production moves into deeper waters the relative importance of currents is likely to increase. Currents and waves interact with each other in a complex way in the ocean, and their effects on engineering structures are also interrelated. It is therefore advisable to consider the measurement and analysis of currents and waves as part of the same problem and this is particularly important when we wish to measure surface currents. Early in 1978 HMS Reclaim had completed an extensive refit which had gone heavily over budget because of the refitting problem associated with her main engines: basic steam reciprocating engines , or “up and downers”. Fundamentally, there were no engineers around who were familiar with this type of engine. Mechanically they have to be set up very accurately; once this was achieved they should run forever. The problem was solved by recalling two retired engineering officers for temporary duty! 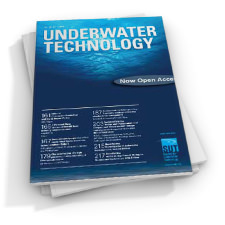 Abstract: An important spin–off from the rapid spread of amateur SCUBA diving has been the eagerness of many active individuals and groups to find a useful objective for their diving expeditions. There have been those who maintain that rigorous scientific work is beyond the scope of untrained people, that their precision of observation is less than acceptable for accurate work and that they lack staying–power. My experience has not supported these views: I have been most impressed by the willingness of volunteers to accept the need for detailed instructions and subsequent scrutiny, I have been encouraged, sometimes nearly overwhelmed, by the flow of results once a project has got underway, and I have found that high–calibre divers will persevere on a project for several years, if they can see their work being made use of and coming to fruition in the form of scientific papers. This article describes briefly the way in which several amateur groups have assisted in the study of one animal, the large European sea–urchin Echinus esculentus, and how the initial work by these divers has paved the way for an intensive professional study of other aspects of the urchin’s life, such as its growth and reproductive cycle. Abstract: In order to view this topic in the right perspective, it is first worth considering the relative size of the problems we are discussing. Generally it seems to be presumed that tanker accidents are the biggest source of oil pollution and that dispersants are always used to combat it. However, Table 1 shows that tanker accidents are not the largest total input of oil to the pollution scene although most urgent action is required when they do occur. The most lasting damage in fact is with the chronic pollution of river run–off. − to look towards the future, in terms of offshore energy production, to see what implications can be deduced from the understanding climatology. From the point of view of the oil and gas industry these aims are welcome. The climate is one of the greatest impediments in the production of minerals from the oceans of the world. Oil and gas are now by far the most important resources extracted from the sea–bed and are likely to remain so for years, and probably decades, to come. It is also fair to say that the problems encountered in extracting oil and gas from beneath the sea are more severe than for many other minerals because their production is currently at, and sometimes seemingly beyond, the limits of available technology and oil and gas production is often conducted in the most severe offshore environments.